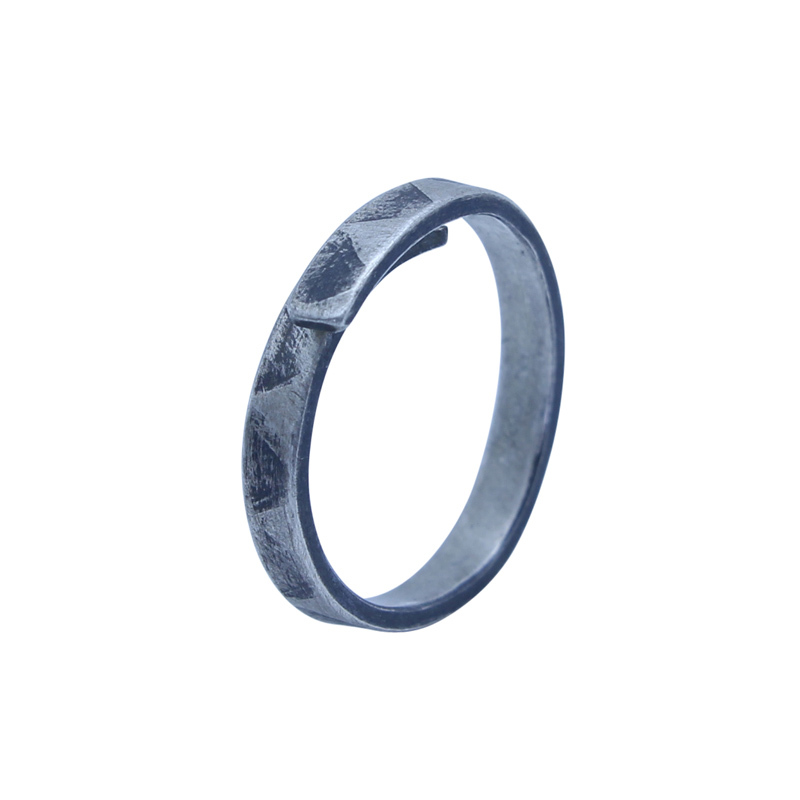 This unusual handmade ring has been rollered through the rolling mill with paper to create the triangle shape detail. 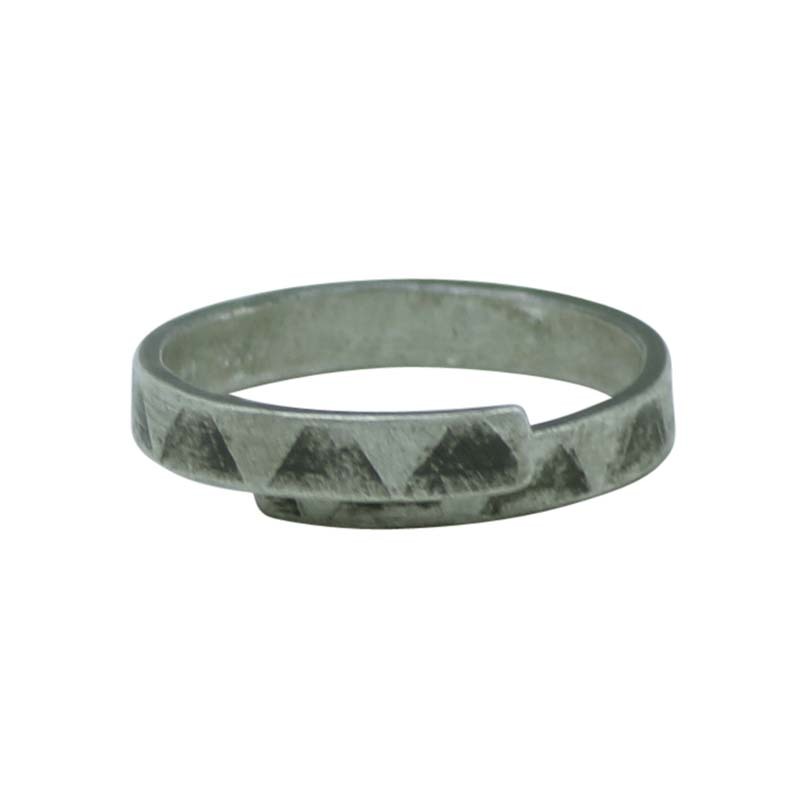 This silver ring has dark oxidised detail to highlight the triangle detail. 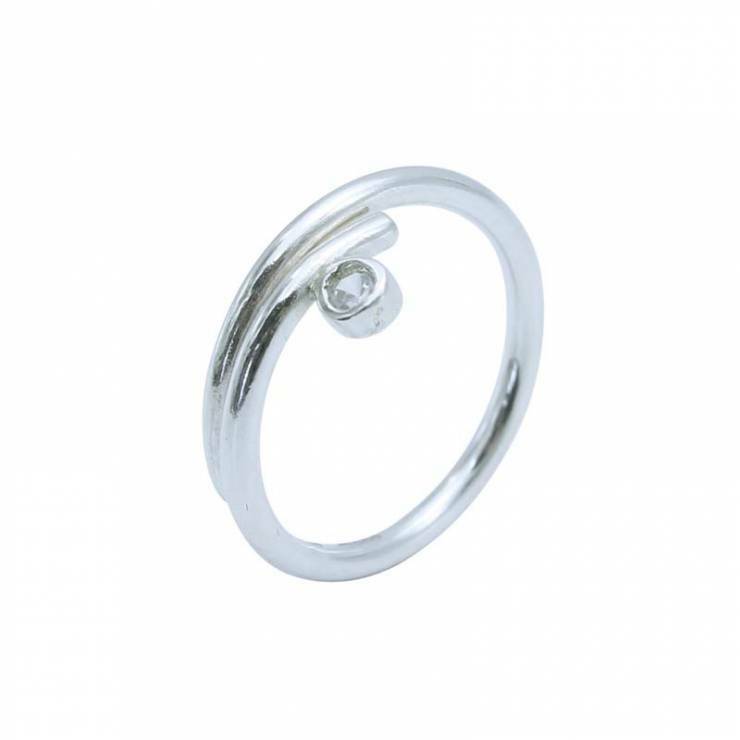 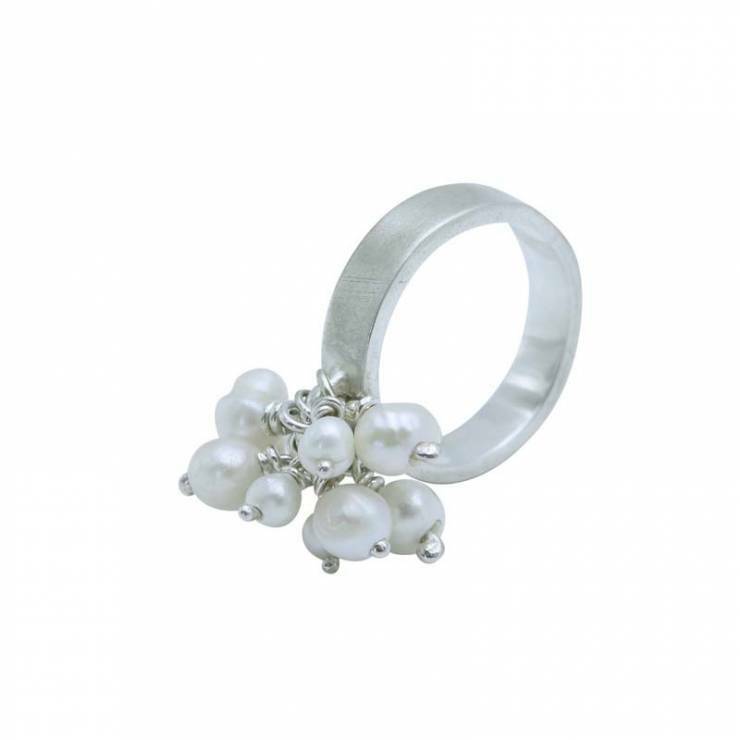 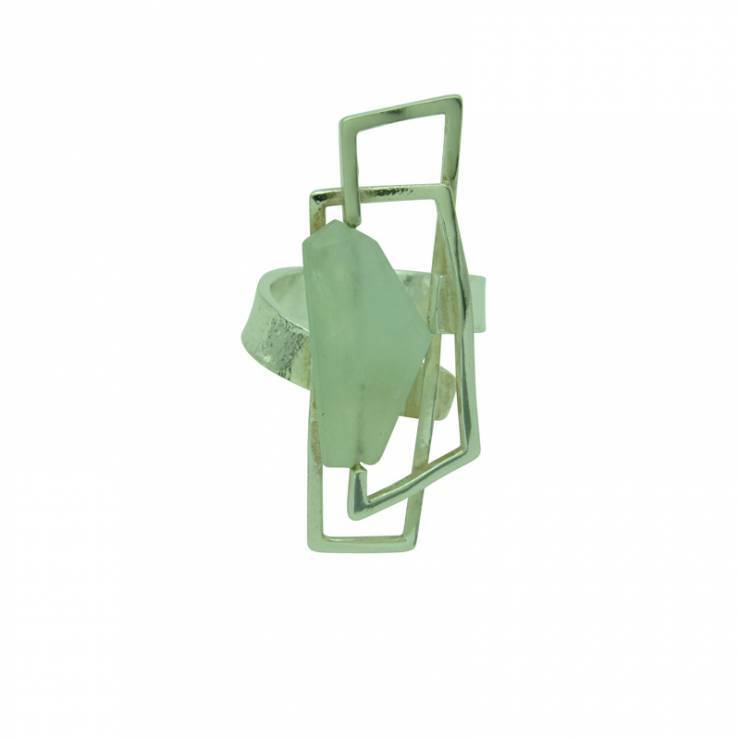 The shank is approximately 3.5mm wide and is adjustable in ring size. 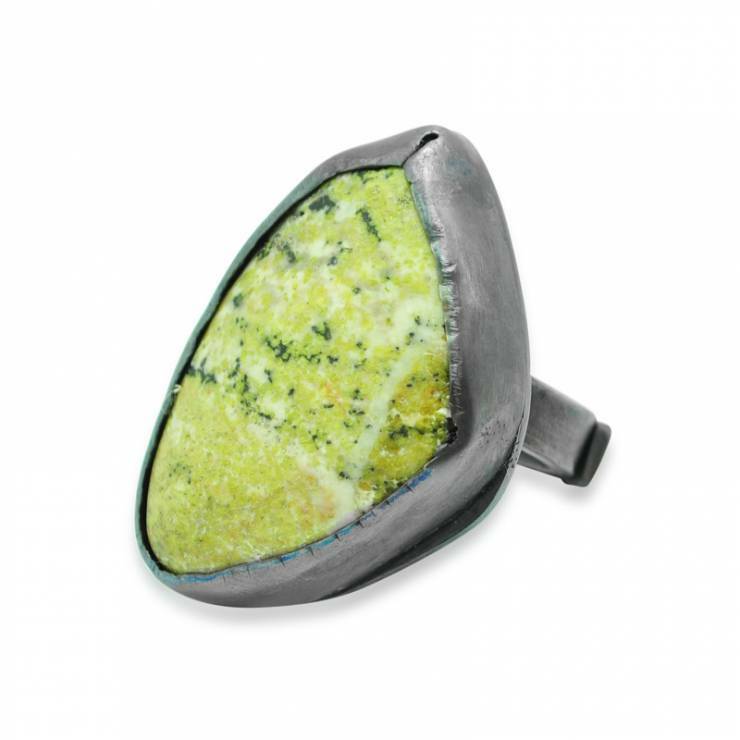 This piece is matt, scratched effect silver to create a more rustic feel.